Goa is the state where people celebrate each day. None of the nights is gone by without the beat of music being played all night and people dancing to it till the sun comes up. This state is the party-destination of Indian youngsters. But that’s not what Goa is all about! The festivals in Goa will urge you to dance and celebrate. These festivals will tell you a lot about local culture, while still enthralling you in each moment. Though there are festivals and events taking place all around the year, here is a best of all so you know when to plan your much-needed vacation to this beach paradise. You should explore the beauty this beautiful places by booking Goa holiday tour packages. One of the most-awaited festivals of Goa, the Goa Carnival is an extravaganza that lasts for four days and takes place in the month of February. The festival is primarily dedicated to King Momo, who is known to bring peace and happiness to different parts of Goa. The festivities include dance, music, food and drinks. The colorful costumes add on to its vibrant vibes. Goa Carnival is celebrated majorly in four locations – Mapusa, Panjim, Vasco Da Gama and Margao. The celebration of strength, Saptah Festival is dedicated to many lives which were lost in a severe epidemic that took place in Vasco Da Gama area of Goa. This festival lasts for a week, seven days, known as Saptah in local language. Damodar Saptah begins a day after Nag Panchami. During the festival, the devotees visit Damodar Temple to seek blessings and perform offerings as per the rituals. The world knows the Goa is one of the best of best places to celebrate new year in India. This place is brimming with an energetic vibe around the year, and as people prepare for welcoming a new year the enthusiasm only escalates. 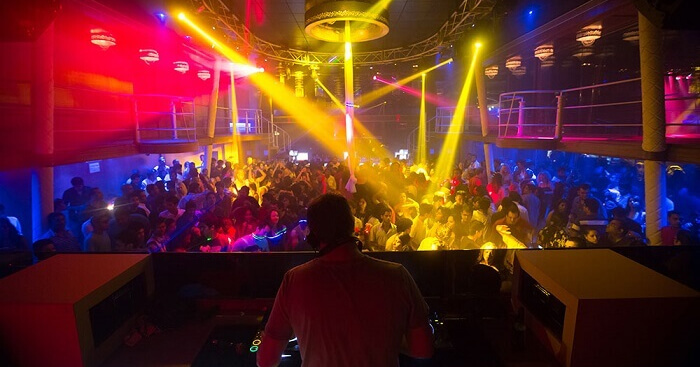 Many clubs and hotels in Goa arrange hypnotic new year parties and events. Some invite you to dance the night away with some of the best DJs alive, while some organizes performances by big bollywood stars. No matter how you like to welcome a new year, Goa will have something in the store for you, anyway. 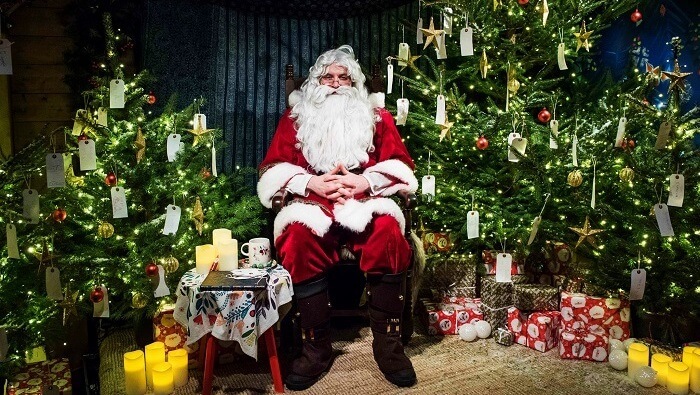 Christmas is celebrated all around the country, but what’s special about Christmas celebration in Goa? Well, you must know that this state boasts of having a huge population of Christians and the Christian shrines that Goa is home to, are indeed among the most notable across the world. So, could you, now, find a better place to celebrate Christmas than Goa?! To make your experience even more happening, there are vibrant midnight masses that you could attend. This festival is celebrated all across the state, so don’t forget to bag delicious plum cakes as you tour and celebrate Christmas in Goa. Goan food is a appetite catalyst, it makes the world drool over it! If you have always been a fan of Goa food, this festival will put your soul in Nirvana. 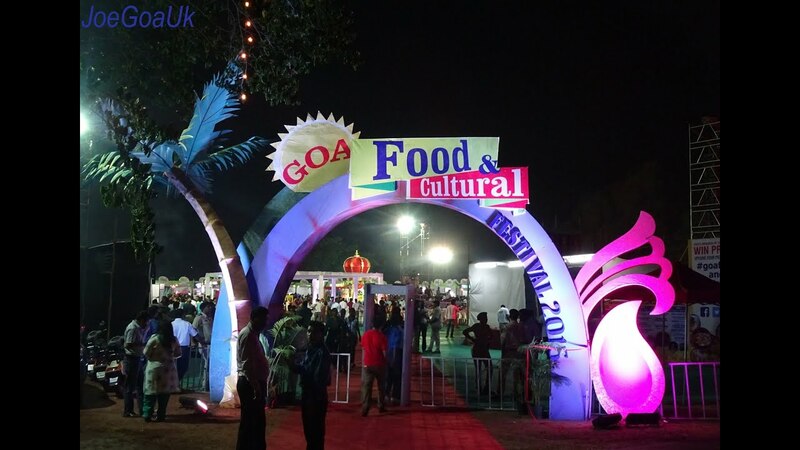 From Goan curries to Portuguese Vindaloo, everything can be gorged on if you’re in Goa during its Food & Cultural Festival. Whether you’re staying at a five-star hotel or are invited by a local to his house, you will find delicious Goan food being served right in front of you! The festival lasts for five days and is celebrated each year in the month of April. One of the biggest wine festivals of India, the Grape Escapade in Goa gathers the best wine connoisseurs across the world, so you get to taste the exotic flavours of the wine, which are not just Goan but are brought from the finest wineries around the world. This festival takes place in Panjim area of Goa, and lasts for four days in the month of February, each year. Other than delectable wines, Grape Escapade is also about fashion shows, dance performances and live music. Yet another colorful festival in Goa, Sao Joao will mesmerize you with its interesting and vibrant costumes, at the first glance. 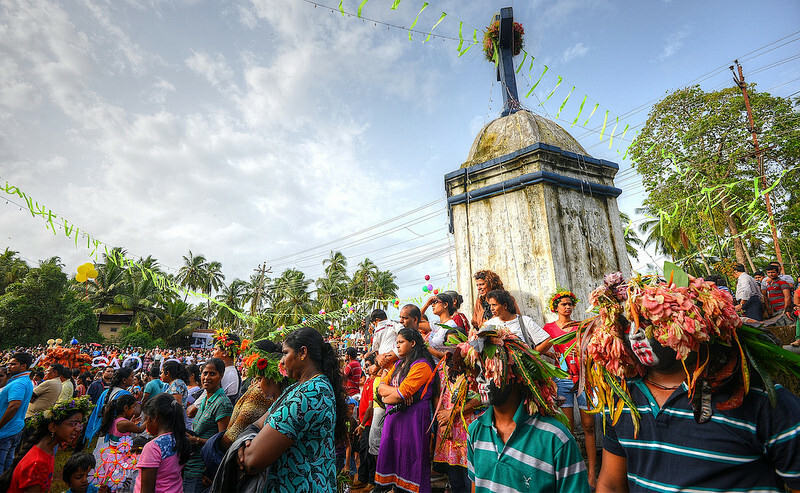 The local villagers organize a procession while wearing costumes of different hues, decorated with feathers and leaves. Sao Joao is a beautiful festival to witness if you’re curious about getting an insight to Goa’s real culture. There will be everything from music, folk dance and fenny to keep you enthralled. This one-day festival is celebrated in almost all areas across the state and takes place in the month of June. In many regions, pool parties as a part of the celebration only makes the fun double! Goa’s cashew and coconut are famed around the globe, and act as major contributor to the economy of the state. As a part of the celebration, you will be able to indulge in various interesting activities such as coconut breaking, cashew stomping and also get to taste some of the most delectable cocktails prepared using Feni, the local liquor of Goa. Also, during this festival you can experience the best of local art and food. Goa Cashew and Coconut Fest takes place in the month of May, in Panaji area. A feet-tapping mind-thumping music festival, VH1 Supersonic is not just any music festival. This EDM music party features a line-up of various popular Indian and international DJs to get you grooving. Celebrated in the month of December, this festival is about losing yourself in the tune of EDM, and dancing to your heart’s content! Sunburn was one of the most famous and much-awaited festivals in Goa. But unfortunately it has been discontinued in the state, and this year it is taking place in Pimpri, which is not too far away! 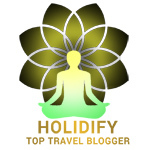 So, if you’re curious you can plan your vacation by booking tour packages. So, which of these festivals in Goa would you love to attend first?! Let us know in the comments section.